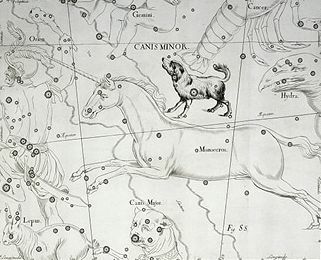 The constellation Canis Major, the greater dog, is normally associated with Laelaps the mythical dog which was always destined to catch its prey. Laelaps was one of the gifts presented to Europa by Zeus, but would later be used in Thebes, where King Creon made use of it to rid his kingdom of the Teumessian Fox. 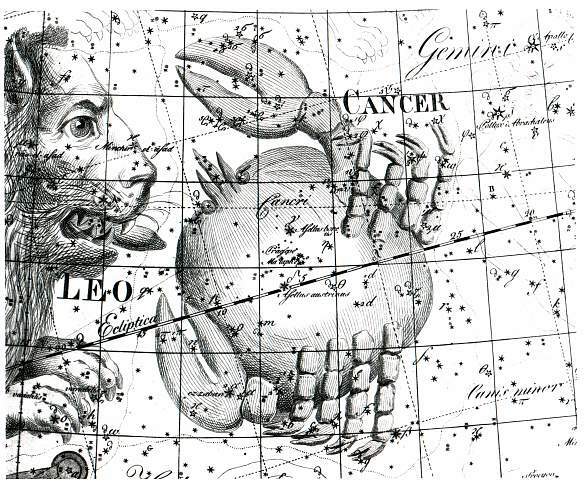 The Teumessian Fox though was destined to never be caught, and when Zeus the problem of two destinies that could not both come true, he placed Laelaps in the sky as Canis Major, and the Teumessian Fox as Canis Minor, the lesser dog. 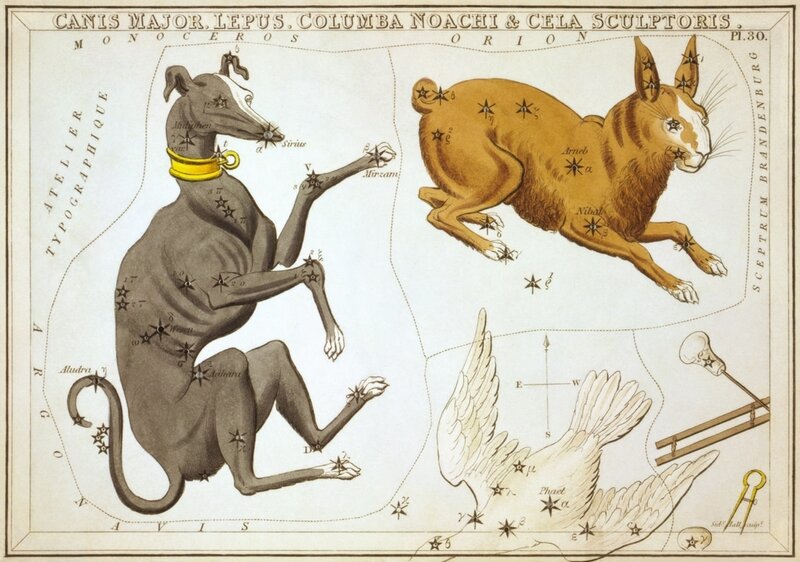 Laelaps though was not the only dog associated with Canis Major in Greek mythology, for Canis Major was also associated with the dog of the hunter Orion, for it follows the hunter in the heavens. 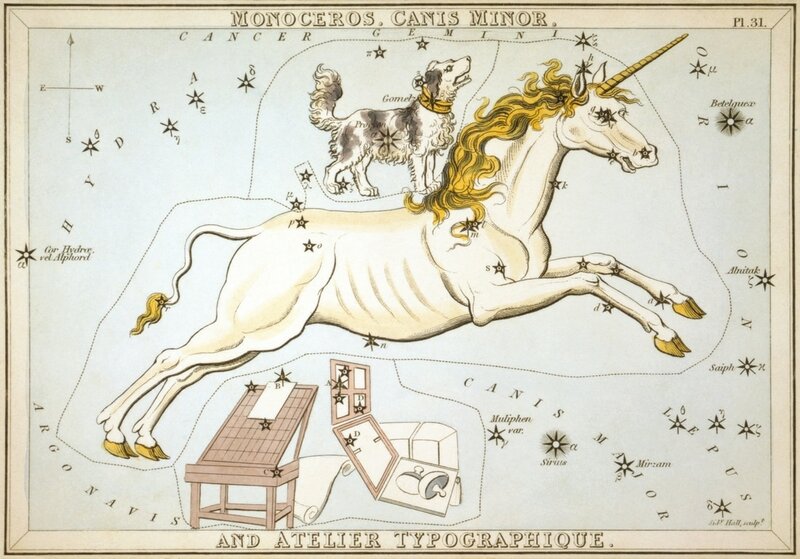 Otherwise, Canis Major might be the dog of Icarius, Maera, the loyal dog who committed suicide after his master was killed, with Icarius becoming the constellation Bootes. Just as Canis Major is normally associated with Laelaps, so Canis Minor, the lesser dog, is normally said to be the Teumessian fox, the last target of Laelaps. So when Zeus could not solve the quandary of the dog that always caught its prey, and the fox that always avoided its hunter, the pair were placed amongst the stars. 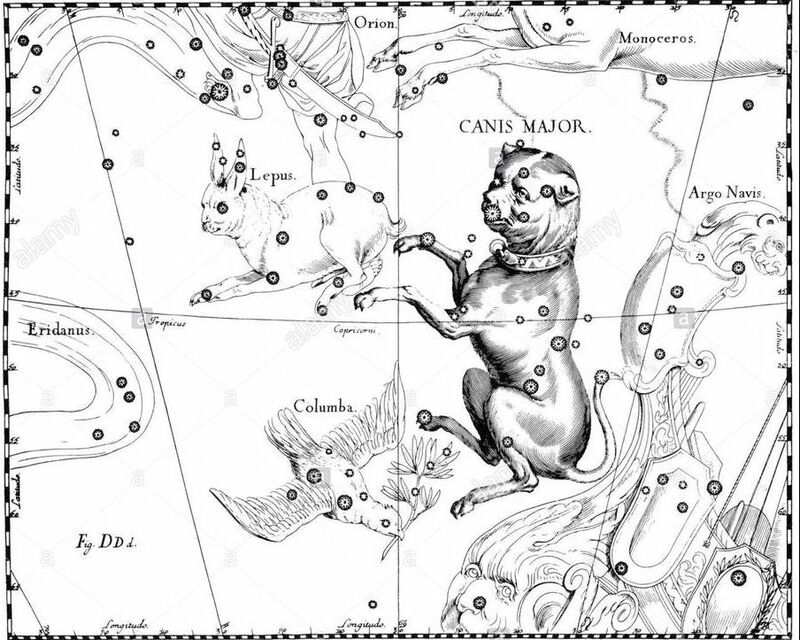 Like Canis Major though, Canis Minor was also occasionally associated with the hunting dog of Orion, and Maera, the loyal dog of Icarius. 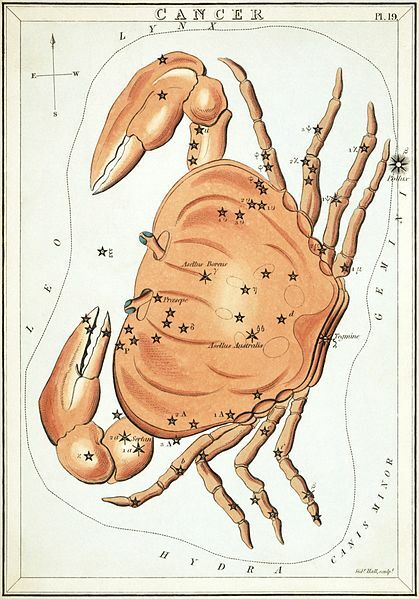 The constellation Capricorn is normally depicted as being a sea-goat, which has given rise to different explanations for the constellation. 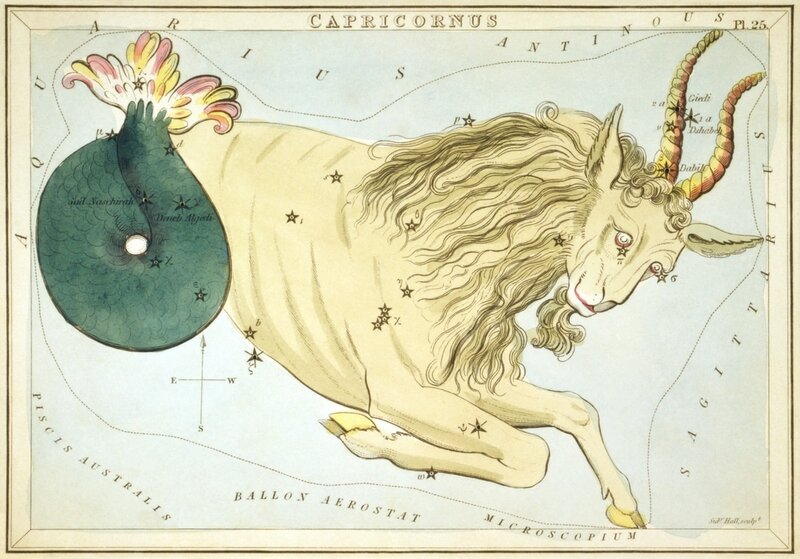 Capricorn is normally said to be the representation of Aegipan, a sea god son of Zeus. During the Titanomachy, some say Aegipan aided his father by causing panic in the enemy. Aegipan was also said to have helped Zeus during the war with Typhon, for when the gigantic monster managed to remove, and hide, the sinews of Zeus, Aegipan retrieved them and restored them to Zeus’ muscles. For services against his enemies, Zeus placed Aegipan amongst the stars. 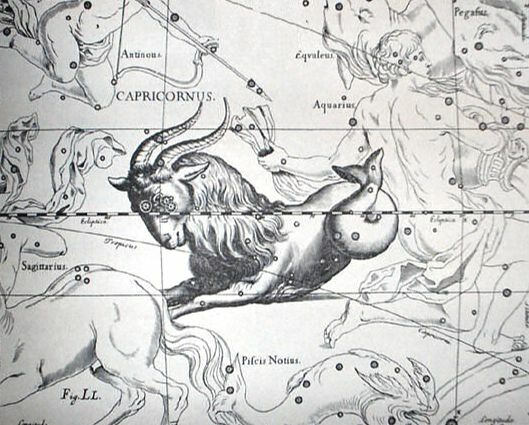 Some say of how Capricorn was actually the representation of the transformed god Pan, who, whilst fleeing from the advancing Typhon, transformed himself into the goat-fish, and flung himself into a river.